A 16-year-old has developed a free app to help students pass the Arizona civics test, which soon will be required for students to graduate. 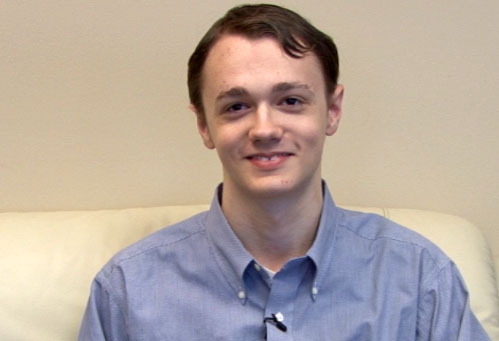 Riley Danler, a student at Primavera Online High School, created the Arizona High School Citizen app after his grandmother, Kevin Ruegg, executive director of the Arizona Bar Foundation’s legal and education program, expressed a need to help Arizona students pass the Arizona civics test. Danler, shy and modest, is passionate about his journey from the concept of an idea inspired by his grandmother to an app in which McDonald’s has become a partner. He said he had zero experience with building an app but did have experience with programming from a class he took in high school. His father also is a programmer. “The questions are from the actual citizenship test and I edited them to make them multiple-choice questions,” Danler said. Arizona is the first state to require students to pass a civics test to graduate from high school, according to azcentral. Students will have to pass 60 of 100 civics questions on the U.S. Immigration and Naturalization test starting in 2017, the article said. Advocacy group Law for Kids and the state bar association’s Arizona Foundation for Legal and Education Services, or AZBarFDN developed a lesson plan for Arizona teachers to introduce the app to 8th grade through 12th grade students. Phoenix and northern Arizona McDonald’s restaurants and the bar education foundation teamed up to launch “Be An Egg-xemplary Citizen,” a program where students are rewarded for passing the eight sections of the app on U.S. history, government and geography. Students receive a coupon for a free McDonald’s Egg McMuffin® when they show their teachers that they completed the app and another when they pass the Arizona civics test. “What better way for us to help kids pass the mandatory state citizenship test,” said Michelle Slayton, a McDonald’s executive. Teachers can sign up for the program on AZBarFDN’s website, Lawforkids.org.The app is available for Apple devices. Danler plans to create a version for Android. Danler, who plans to become a programmer after he graduates from college, said he was surprised and pleased to work with McDonald’s. “Now that McDonald’s is going through and promoting the app, it’s definitely going to get some more students (involved) and it’s going to help them pass,” Danler said. “We worked really hard on it and I’m glad that it’s actually helping people,” Danler said.